I was googling for some nice templates (since I didn't properly save my own during some livery concepting...). And I came across this forum, a lot of awesome work here! You'll definitely see some concept liveries that I based on them in the future. A bit about myself: as you can see by my nickname: one of my two big passions is music. The other is automotive, with racing in general. I try to do some own livery designing as a hobby, but professionaly, I'm an automotive engineer: not really styling-related. 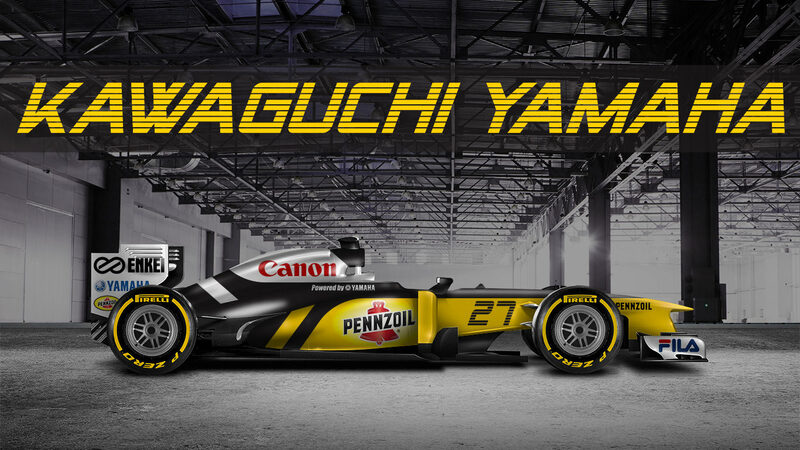 Here is a small example of what I used to make with that template: a fictional Japanese team, powered by Yamaha.